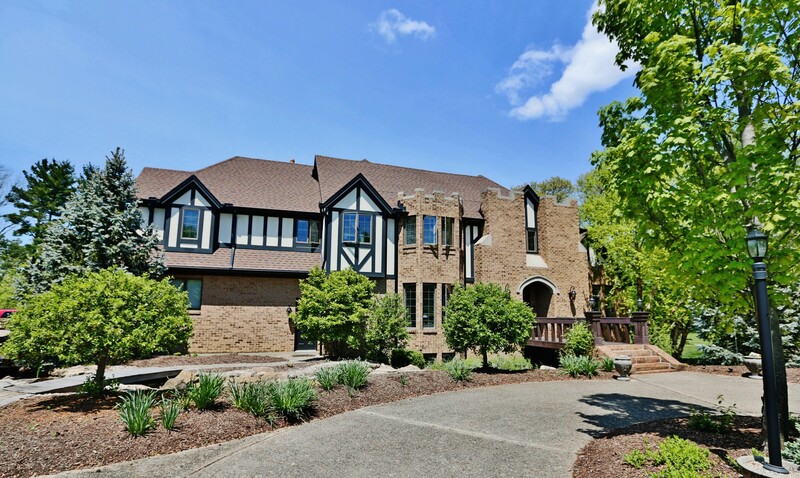 As you enter into this exquisite estate, you are immediately greeted by an octagonal shaped Foyer featuring hardwood flooring, a massive wrought iron chandelier and a curved, wooden staircase which was hand milled on the property during construction. The geometric-patterned wooden floors provide distinctive architectural detail to this property. Staying true to the castle-like setting, the Formal Dining Room is a stately 19x14 in size & offers the capacity for seating 12. Featuring hardwood floors, sconce lighting & a tray ceiling ornamented with a stunning chandelier, this Dining Room conveys both an authentic & atmospheric vibe. Make your way into the completely renovated Kitchen & be in awe over the custom cabinetry with mounted under-lighting & crown molding, granite countertops, Travertine marble flooring, butcher block island with prep sink, raised granite-covered island with seating for 6 & stainless steel appliances which include a commercial grade 30" Thermador electric wall oven & a 36" Dual fuel range with 6 gas burners tucked into a brick alcove complete with a Thermador vent hood, warming shelf & wrought iron pot rails. Sliding glass doors lead to the upper deck & overlook the stone spa & woods located at the back of the property. Featuring 17' soaring ceilings ornamented with stately beams, the Great Room offers rustic charm without sacrificing comfort. Offering deck access & an impressive 26x16 size, this room runs the entire width of the home and features a floor-to-ceiling wood-burning stone fireplace & hearth as well as a wall of windows offering views of the 20 person spa, babbling brook and small pond. The second floor is exceptional and offers a balcony overlooking the Great Room. Featuring 5 bedrooms, 3 full bathrooms, & an Office, the second story is sure to impress. Floored entirely in bamboo, the second story offers large bedrooms, updated bathrooms & two access points: the custom built staircase on the North East wing of the home & the spiral staircase located in the South West wing of the home. The Master Retreat is exceptional with its open concept, large windows and natural lighting. A private hallway leads into the Master Retreat which includes 2 walk-in closets, a medicine closet & a storage closet that runs the entire width of the expansive suite. Bamboo hardwood flooring in a dark finish is on the floor of the Master. Spanning 21x14, this expansive suite accommodates large furniture & provides space for a sitting area. You will embrace the scenic views from "Juliette" balcony overlooking the spa & large backyard. Featuring an attached Master bathroom, which was recently renovated, with Travertine marble flooring, double vanity with Marble countertop, jetted soaking tub, elegant lighting, brushed nickel hardware & a freestanding shower, encompassed in Marble, and featuring a rain shower head. Nestled at the top of North East wing of the estate, resides the home's office. Quaint & cozy and adorned with stained glass windows & featuring a floor-to-ceiling, all-brick fireplace with custom mantel, this home is sure to astonish. The lower level includes a large Family Room with a brick wood-burning fireplace with gas starter. Adjoining to the Family Room is a fully stocked wet bar with seating for 4 & a game area with access to the paver patio overlooking wooded views. Additionally, the walkout lower level offers the home's 6th bedroom, 4th full bathroom & spacious laundry room. Access to the indoor basketball/racquetball/volleyball court is on this level as well. The lower level can be accessed either from the main staircase or the back staircase with convenient access to the garage and storage. Make your way to the indoor Basketball/Volleyball court to truly be impressed with the luxurious lifestyle that awaits you. This indoor court is ideal for exercise & recreation even in inclement weather. The court also includes a movable basketball hoop anchored on one side wall. Wall mounted hooks allow for easy to attach volleyball & golf nets. Sport enthusiasts will certainly enjoy practicing in a heated indoor space. This room is also ideal for mounting a projector and creating the ultimate theater experience. 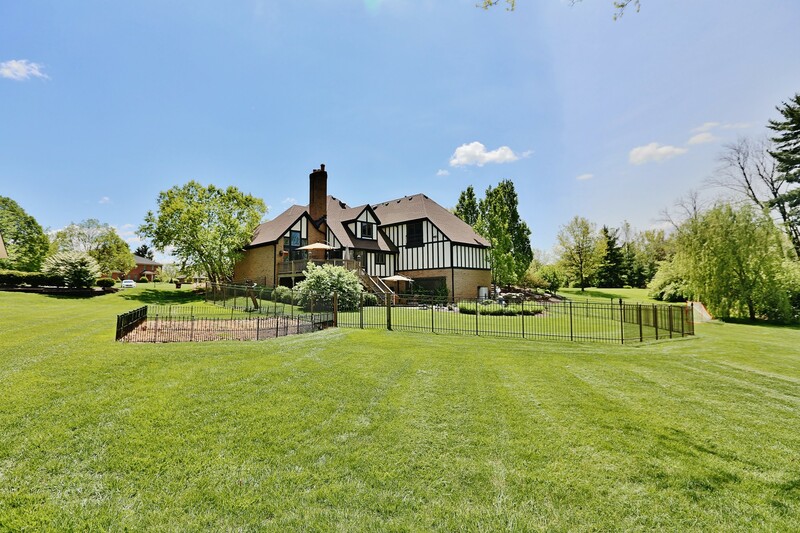 Ideally located on over 1 acre of pristine land in Washington Township, this property offers professional landscaping within a tranquil setting. A circular driveway with parking pad is ideal for entertaining, basketball games & the kids bikes & scooters. 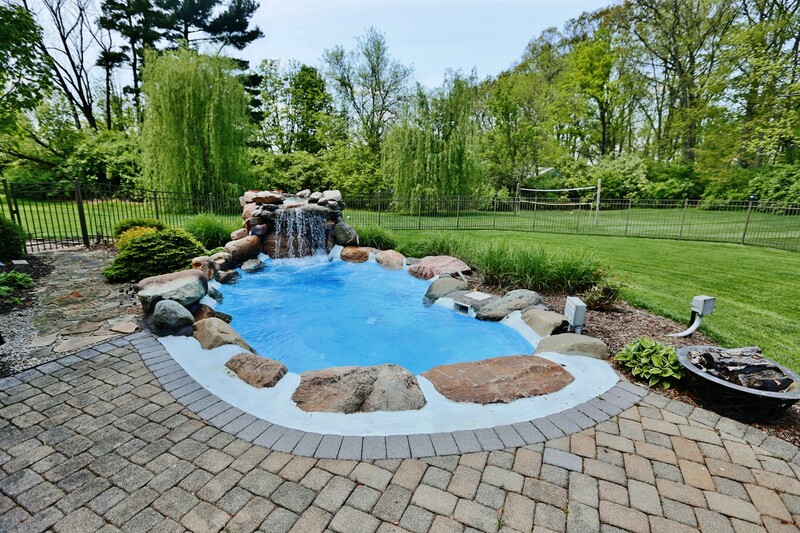 In the backyard you will fall in love with tumbled stone heated spa with a cascading waterfall. 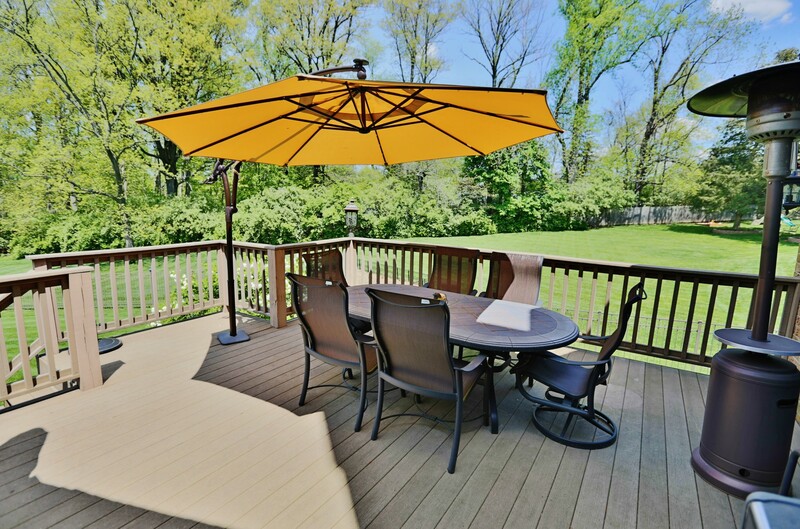 You will spend your evenings relaxing on the brick paver patio or entertaining on the deck. An iron fence encompasses part of the property which is ideal for small children or pets. To finish it all off, there is plenty of green space for backyard games and child's play. Additional exceptional features include windows replaced in 2012, all 6 bathrooms have been updated, 3-4 woodburning fireplaces with gas starters, Bamboo flooring installed on the second level, Roof replaced in 2012 & Kitchen entirely renovated in 2008-2009. This property has old world charm & unique features that surprise & delight with the style of high-end modern updates throughout. And what castle wouldn't be complete without trap doors & secret entrances? 7323 Old Stable Ln. is in a little known, custom development near St. Rt. 48, Alex Bell Rd & I-675 & convenient to shopping, eateries, churches, parks & in the Centerville City School District, one of the top ranked districts in Dayton.